My questions for you are: how do you deal with one child having no contact with birth family while the other children have contact with their birth families? And how do you explain to your child, when he/she is old enough to understand, that contact with birth family isn’t safe or healthy? I mean, without throwing them under a bus! Hi, Roxanne. I can hear how much you want to make this work for your family. I hear that it’s gotten really hard with your boundaries being breached, and that you are inquiring about two things. Your first questions is this: How do you deal with one child having no contact with birth family while the other children have contact with their birth families? I addressed the issue of differing levels of contact previously — it’s a very common challenge. Parents want to make things good, equal, fair, easy for all their kids, but don’t always have the ability to make contact happen — and in a healthy way — with all first parents. My advice was to reframe things in a way that neutralizes the adoption charge. As an example, we substituted the less emotionally-charged scenario of qualifying for an advanced class. One child qualifies for advanced math (or higher reading group, or sports team) and the other doesn’t. How would you then decide what to do? The advice for the easy part is over here. Before I get to your tougher-to-answer question, let me take a brief detour. Some readers may worry that this post generalizes that birth parents are unsafe. If you are thinking “not all birth parents…” yes, that that goes without saying. We are talking here about only Roxanne’s situation with only one set of her children’s birth parents. 2. Some may accuse the letter writer of overreacting, of misreading the situation, or of looking for an excuse to close the adoption (please note this family has other ongoing open adoptions). I’m guessing that Roxanne is trying to keep details from the public eye out of respect for her children. In the absence of full details, which we are not entitled to, I am responding to her letter as though her perceptions and fears are valid for her. If you have advice that may be helpful and not hurtful, please do feel free to leave it. Your second question is more challenging. How do you explain to your child, when he/she is old enough to understand, that contact with birth family isn’t safe or healthy? You intuit that your son will take some of his identity and self-esteem from how he (and you) perceive his first parents. It’s wise to be circumspect with how you choose to talk with him (and his siblings, on a need-to-know basis) about his birth mother and birth father. And at the same time, regular readers know I advocate for dealing in What Is. 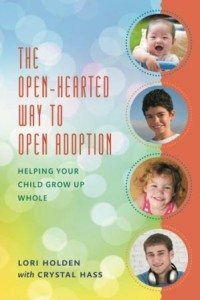 Not denying, hiding, or ignoring the less-than-savory aspects of our open adoption relationships. Age appropriately, the adoptee should be made aware of these aspects and eventually included in conversations about how the family might deal with them. Why? Because ultimately it’s his story. 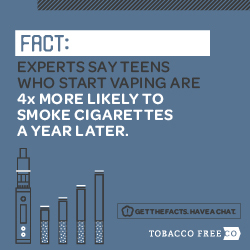 This is hard to imagine while the child is a baby or a toddler, but becomes increasingly important as the child becomes a tween, a teen, a young adult. The intention to gradually turn over the reigns can be in place in the very early years. How? As matter-of-factly as you can. This means you must do some hard work around your own emotions. A good therapist (you need one for this situation) can help you process the hurt, disappointment, anger, betrayal, fear, and worry that you are feeling. You do not want to smush these icky emotions down, and you do want to allow them to flow so they don’t get stuck. You want to be able to tell these stories in as neutral a way as possible when the time comes to share more and more with your son. 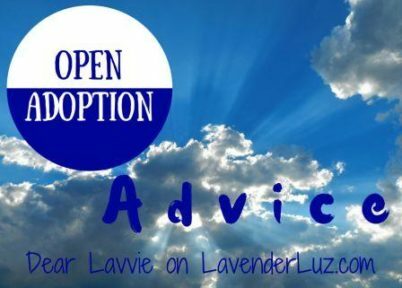 There is a ton of advice out there about when and how to tell a child s/he was adopted. You do it from the beginning — not just so your baby can hear it, but so that over time you get thoroughly comfortable telling it — warts and all. Same principle here in telling your son a very warty part of his reality. Except that instead of telling him while you get comfortable, you’re going to tell a therapist, who can help you neutralize or at least lessen the severity of some of the emotions you are carrying. When I put myself in your place, this is the approach that I could see myself taking when the child is old enough to enter into this conversation. Your son may press for details. If you choose to share, you’ll need to be able to put the breaches of trust into simple terms. They don’t tell us the truth sometimes, in big ways that matter. They don’t always follow our rules about respect and safety. I can see that you are worried about this, but I want you to know we’ve got this. You may choose to stay vague for now. I’m not really able to go into that yet, but I promise you that we are always looking for ways to make this work in a safe way and I will keep you posted. Shall we revisit in a little while? And then make sure you do bring it up again in a few weeks, even if you don’t have anything new to say. Remember that the behavior you’re seeing now from your son’s birth parents may not last forever. People go through hard times, and relationships ebb and flow. Try to remain open to the possibility that your son’s birth parents are able to get themselves into a better place. And try not to hold onto resentments that would make it hard for you to cautiously open to them if/when they work things through. Dear Readers, what helpful advice do you have for Roxanne? When One Child Has Birth Mom Contact and the Other Doesn’t: Find sound footing by removing the adoption charge. How to Set Boundaries Yet Still Be Open: figuring out your “screen door” to let the good in and keep the rest out. When Meeting a Birth Parent’s Needs Means You Meet Your Own: from adversarial to enlightened self-interest. Meanness as a Weapon vs Meanness as a Tool: looking beyond the behavior to the possible reason for the behavior. I love that you do this “Advice Column” series. I’ve seen so much valuable discussion on these posts from people from all aspects of the adoption triad, which is sorely missing in our general society (Dear Abby would totally botch this letter for sure). Thank you for doing this and thank you to all those who write in as I learn so much. No advice, only love to this letter writer. I will challenge your advice to this letter writer and I hope you will respond back to my comment after taking a more objective look at the situation. 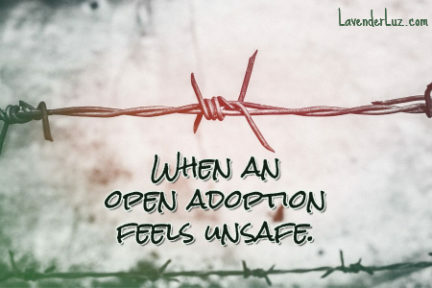 Let’s start with the title of the post: “When An Open Adoption Doesn’t Feel Safe”, Feeling unsafe being contacted by the family of the person they adopted is not the same as actually being unsafe. The standard these people should be using to judge whether or not contact is safe should be whether or not they could convince a judge to issue a restraining order against the various members of the family wishing to visit with their relative. These are family members of the person are raising, they are not strangers to her and the people that adopted her will owe her a real good explanation as to why it was that she was prevented from having contact with her own family. Parents loose custody of their sons and daughters all the times based only on accusations and social worker assessments and yet they are never tried and convicted of any crime in front of a jury of their peers. Have these family members all been tried and convicted and sent to prison for assaulting the minor currently in their care? Is the minor currently in their care in grave physical danger in the supervised presence of her own family based on a proven history of being convicted for abusing her? That would be a good reason to limit contact only to those family members who were not convicted of abusing her. Are all of the family members threatening to kill her, maim her, sexually assault her, or do bodily injury to any other person in the house where she currently resides? If not then how is she unsafe in their presence. The Webster’s Dictionary definition of unsafe is dangerous and the definition of dangerous is likely to cause injury. Are these people likely to cause injury to her? These people better be prepared to convince a judge to issue a restraining order against them for threats of harm against her otherwise they are not dangerous and they simply want to see their child/grandchild/niece/nephew/cousin or sibling on an ongoing basis. What’s wrong with that? If these people are concerned that they will tell this young girl that they did not want for her to be taken from them and they feel she was taken unjustly – that is not a safety issue that is just her family telling her that they love her and never meant to loose her to the people raising her. It is certainly within the purview of those raising her to not allow contact with certain people at their discretion since they have been awarded rights equal to that of a parent. But the writer of this letter is concerned with how this person will perceive her isolation from her own family when other minors in the same house are allowed contact with their families. If the answer is that her family is more assertive in securing contact and is more vocal about feeling that she was lost to their family unjustly then the writer will have to deal with that person’s reaction to what really is an unfounded sequestering of her based solely on their insecurities and the fact that they feel they deserve to have her all to themselves because they are footing the bill for her childhood and doing the heavy lifting of parenthood. Those slightly annoying boundary pushing people are that person’s family and they want to see her and write to her and they want to prevent the people who adopted her from leading her to believe that they don’t care about her and did not try hard enough to keep her. They want to show by their actions and tell her with their words frequently if possible that they never meant for her to be adopted and wish every day for her to be back within their family and that they are sorry she is gone. They don’t want her to feel she was not fought for hard or that they gave up on trying to get to her or see her. Lori that is normal parental and familial behavior. Maybe they did not exhibit that behavior prior to her adoption and that’s why they lost her and maybe they recently had an awakening but isn’t that the best possible thing that could happen for her sake? This is a human being who should by her own rights be taken care of by her own family they owe it to her and it is never too late for them to start behaving attentively toward her as she certainly deserves that from them specifically. If the family cannot physically care for her safely on a daily basis and she needs to be cared for by someone else that is reasonable and understandable and whoever cares for her should have enough decision making power to conduct daily business on her behalf but censoring her family’s communication to her when they are trying to get through to her how they never meant to loose her is stifling a message that could very well undermine her whole sense of self and emotional security. If the people that adopted her are worried that they will be villianized by her family in their communications to her then they should try not acting like villains. They need to be prepared to demonstrate that her family threatened to harm her and has a history of convictions and jail time for abusing her – then this person might take their statement seriously but only if contact with her own family was physically dangerous enough to her that a judge would issue a restraining order against them. If they simply feel that her family is threatening her impression of those who adopted her then that is insufficient reason to prevent contact. If they simply feel that her family is a danger to their adoptive status then that is not sufficient reason to prevent her from seeing them. People who adopt have tons of legal power and really they can do whatever they want and they are essentially untouchable. But if they are concerned about how she will perceive them as caregivers once she’s old enough to go looking for her family on her own or once she is able to be contacted by her family without detection by those who adopted her, then they should consider carefully how they treat her family . Her family already knows who they are and unless they are willing to change their surname and move cities and change jobs her family will likely be keeping tabs on their every move until they can get through to her without being detected. That is what a normal parent would do. That is what a normal sibling or grandparent or Aunt or Uncle would do if they had lost a member of their family against their will. You must realize that a person does not stop being a valued member of a family just because their parent can’t take daily care of them. They are not property where it is finders keepers losers weepers and their actual forever family is the one they did not contract into and it’s the family they cannot ever get out of they will always be related to them. Her family will always owe it to her to pay attention to her while the people who adopted her chose to be connected to her she did not make that choice she is far less committed to them emotionally and legally than they are to her so they might want to think carefully if they want contact with her to outlast her childhood. If they are warm and welcoming to her family even when it far exceeds what they legally anticipated as far as contact and communication then they stand a good chance of maintaining a healthy connection to her after she reaches adulthood. I would strongly urge them to reconsider their current views on the matter even it they feel it is unreasonable because really they are the ones being unreasonable in referring to her family as unsafe when they cited not one credible physical threat to her safety. It appears what they think is unsafe is their status as parents and they should have anticipated that when they chose to raise someone else’s daughter. I want to say up front that the framing of the words leave me believing I had more openness in spirit from mom and dad with my closed adoption, and my sister definitely did, and her mother had her own challenges, but they worked it out over time. Hopefully it was the framing that presents the absolute dead-end. It would also have been more helpful to understand what open adoption in her world meant, if regular visits were part of everyday life, because it seems that wanting to see the baby was beyond the pale and sealed the deal. I would urge the mom to consider how her words shape the parameters of her comfort levels, the ‘my child’ in particular. Yes, absolutely, your child is your child, your child though, is also her first parents child, and in some way, always will be. Now, I’d like to take it to a personal level. I am not a first mom, but my son passed away when he was just over a month old. Unlike first mom’s, I had finality, a grave, but even still, it took close to two years before I was somewhat back to my old self. Grief like losing your child just doesn’t disappear in a month, six months, a year and through all the stages of grief I would have done anything asked of me if I could have just seen my son again, held him, loved on him one more time. If I’d been a first mom, the pull to see him, hold my son, even just see a picture and know he was well, would been a need so deep I doubt I could control, and I’m a very controlled soul. Everyone’s grief is unique, but your words about her wanting to see him when he was still an infant, speak of a grief that’s incredibly deep and painful with no end in sight, and so much harder than mine because adoption doesn’t include finality, your child is still out there, without you. I can’t imagine any mother really understanding what it would be like to surrender your parental rights to you child and be replaced before living it, and if what the agencies post on their websites, they go into it believing it won’t be that bad, they’ll grieve, but not that much because they will know their child is well taken care of – which is hogwash if you stop and think about it. So, I’m wondering, was counselling not part of the adoption for the mother (and father) after the adoption, when the grief is taking them to their knees and they’re aren’t sure they’re strong enough to even stand up, let alone function. If it wasn’t, it needs to be available to your child’s parents, true grief counselling and that’s the only right thing to do. Then, after, offer some grace and a plan, however slow it must be, and for heaven’s sake, have the tough conversations before the plan commences, not after you’re fit to be tied and unwilling to bend. Start there, then maybe your won’t need to use the advice Lori gave. Grace always helps, especially when you’re ready to slam the door forever, but this is your child’s first parents we are talking about – take the break while you ensure they have counselling, and if your agency balks, use your voice – the most powerful voice in adoption, the adoptive parent voice who isn’t pleased that your specific agency failed your child’s other parents. Then choose to start fresh after the tough conversation where you ALL lay out your lines in the sand (and that’s both sides to be clear) and agree with respect is a two-way street, and talk about how it’s working along the way, make changes instead of reaching the boiling point. So I thought of some more helpful things to say to the woman who wrote you than what I said before but with that as the basis. So given that actual physical safety is not an issue she’s dealing with a situation where the person she is raising is and will always be owed a duty of parental care and attention by her own parents and attention by her other relatives. She’s owed that from them and to whatever extent her family can give love and attention, they should not be prevented from doing so. It does not matter that they can’t or won’t handle the full compliment of parental duties, that is not their daughters fault – it should not be an all or nothing situation that is unfair to her. So what can the people who adopted do to make the mother and father still feel like parents and the grandparents still feel like grandparents and aunts uncles and cousins still feel like tight family? Help them to find a job they would normally be doing for her and provide them with the venue to do it. Call them up and say you know what would be really great? Go get a couple of short children’s books that you can read over the phone or skype like a five or ten minute story you can read them each night at bed time or once a week at bed time or whenever your phone is working at bed time. Give them a very specific window of time and say if they call after that time we won’t pick up because she is unmanageable if she does not get enough sleep but if they call at 7:45 that will give them time to chat about her day, ask if she brushed her teeth and tell her a five minute story before bed. That will make them feel respected and connected. Some nights she won’t feel like a story and other times she might want to talk and stay up but ask them to be strict about the bed time with her and tell her she needs her rest. Offer to call them back after she’s settled and discuss anything that the people who adopted might want to know – hey she’s been getting hives do you have any alergies in the family or ask the parent if they could when they have the time or cash send some binder paper and pencils for school . If their son or daughter is older the parents could call or skype to look over homework a few nights a week. Not every parent who looses custody is totally out to lunch – most could handle proof reading a book report or possibly typing a up the handwritten report their kid did or checking math homework or just making sure their back pack is cleared out and they don’t have any missing assignments. If this becomes a semi regular thing it could even provide the people who adopted a short break to do the dishes, catch fifteen minutes of a tv show they used to watch or give them a chance to take a shower uninterrupted, or make a phone call. If contact is frequent the parents will feel less like they need to make a dramatic statement about how hard they fought or are fighting to get them back or keep them and also the less resentment they will have to the people who are raising their son or daughter. Also visitation with their son or daughter is not the same as raising them and doing their parental job and parents know it and their sons and daughters know it – visitation is just an unnatural situation for parents and their offspring, its awkward and will build resentment on the part of their son or daughter and on the part of the parent, seems to me anyway. If contact is taken out of the realm of visitation and put instead into the realm of the parents performing their job actively performing some duty they are supposed to be performing like reading a story, checking homework or just asking them how their day was – on a really frequent but not inflexible schedule then they will feel better about themselves and their kid will be really benefiting from their time with their parent the way they are supposed to be benefiting. Even if they just spend 5 minutes each drawing a flower and show it to one another on skype or if the cousins are allowed to have skype sunday dinner where they watch one another make a favorite dish or watch one another wash dishes – then the people who adopted would be allowing healthy bonds to build and grow throughout the childhood of the person they adopted and they would be respecting and encouraging the absent parents to do their job and make a difference in their son or daughters life dont just visit dont just get updates but take on some responsibility and share in the daily or weekly events of their son or daughters life in a really memorable and constructive way. Ask Mom or dad to send the little necessities they’d be getting if they were taking care of their son or daughter things that are not exciting presents like pony tail holders and barettes that can be put in an envelope and mailed with a single postage stamp or a tooth brush or even a single pair of socks things kids need that are not exciting presents that feel like they are doing their job of keeping hair neat and teeth clean and feet dry. People who adopt may not need those things bought but it won’t hurt to have them around the kid will process delivery of the little necessities just like they should their parent taking care of their needs. Buy the ingredients for Mom or grandma to to skype and teach them how to make their famous enchaladas and if the kid would rather go play outside be relaxed and say its going to rain tomorrow lets give it another shot tomorrown when your home from work. Have older kids snap pictures of their homework and text it to Dad to be checked. Let them have access to the school website so they can scold them for cutting class or missing an assignment and congratulate them for getting a good grade. They can even be high or tipsy and accomplish those modest things once or twice a month and be doing at least some small bit of what they should be doing. have them send a picture of their room on saturday to show its cleaned up and then grandma will send some stickers or a dollar coloring book at the end of the month for 4 consecutive weekends with a clean room. A million productive helpful things the family could be doing on a regular basis at times of the day that work for the people who adopted that respect the family and the kid they are so sad to have lost. A quick comment from an adoptee (closed adoption, late BSE). What’s your take on the actual adoption feeling unsafe? My adopter was physically and emotionally abusive to me as a child, he was also emotionally (and I suspect physically) abusive to my adoptress but of course he never laid a hand on his own 2 (they are not my siblings). Of course nothing is ever done against unsafe, abusive adopters. I am a birthmom in a semi-open adoption. I am so sorry about what you are going through. As I read what you wrote, I could hear that you truly do want to try to work things out. Kudos to you . . .that is so kind of you! There are adoptive parents in similar situations who would most likely just cut and run. You mentioned that the birthparents made all kinds of demands. It would be helpful to know what a few of those demands were-even in general terms. I do agree that sometimes birthparents can be overwhelmed with grief. I have experienced that myself. It is very, very difficult to be in that situation. For me, just receiving pics and an update every few months when my child was young helped so much. We shared about 4-5 visits in the first year. They were about two hours at a time. Those helped me so much. Just to know my child was safe and loved. And to be able to hold him. I don’t have words to explain how much that helped! I felt that my child’s parents valued my presence in his life, and that was like a balm to my heart. I felt respected by them. That was huge for me. I don’t know the ages of your child’s birthparents. I don’t know what your level of contact is. It may just be that they are grieving and are missing their child. However, making financial demands or asking for things that seem way out of line, is not okay! I wonder, have you and your husband tried to sit down with both birthparents and perhaps a mediator. Many law offices could give you a referral for a competent mediator. You could just encourage the birthparents to talk and explain how they feel, and give them freedom to ask for what they want. You could listen. It may be important to set boundaries- like- We only want to do 2-3 visits a year. Set in stone. BUT, we could do skype once a year, or send updates once a year. You could try to give them a bit of leighway (spelling? ), but be firm about what your boundaries are. If the birthparents are all over the place, not making sense, or aren’t willing to listen, then you could choose any number of things. Maybe you could meet in a public place with a third party for two hours once a year. You could pull back from visits for a year or two, but send updates and pics more than you usually would. You could choose to do all of your communicating through a third party (adoption agency? ), but out of kindness, maybe send one or two more updates per year. Maybe down the road things will improve? If you let the birthparents know you that you are understanding, but there are firm boundaries, that may help. It’s hard to give suggestions, because its hard to know where the birthparents are coming from. Being a birthparent myself, I suggest first trying to listen and use compassion. But also, be firm about what you are okay with. I would also suggest continuing to talk to others. Other adoptive moms, other birthparents, and other adoptees. If you feel comfortable with it, you could even talk with your other children’s birthparents. Ask for their advice. 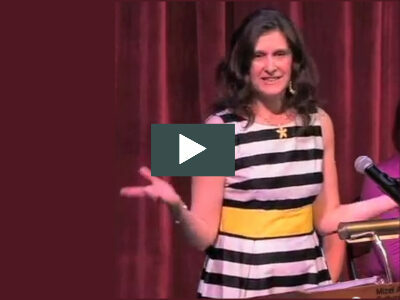 And this: ” talk with your other children’s birthparents. Ask for their advice.” I find this idea very helpful. I went back this morning, and re-read what you wrote. It sounds like you have already tried multiple avenues to work with the birthparents. My two-cents would be to let your child know that you do value his/her birthparents, and that you wanted the birthparents to be part of their life when he/she was young, but that they weren’t always respectful. You could give examples in an age-appropriate way if you wanted to. Just let him/her know that you do care about his birthparents (even if inside you want to say Grr! every time you think of them). If your child sees you talking about their birthparents in a respectful way, even if you are explaining hard things about their behavior, that might help. Hoping things will get better over time.